Christian is a current undergrad student at Indiana University pursuing a degree in Sport Marketing and Management. Christian plans on graduating in 2019. Josh is a current undergrad student at Indiana University pursing a degree in Sport Marketing and Management and minors in Entrepreneurship and Small Business management. He plans to graduate in 2018. Josh plans to enter law school upon his graduation from Indiana. Wes is a current undergrad student at Indiana University pursing a degree in Criminal Justice, Outdoor recreation and Human Ecology. Wes plans on graduating in 2018. During his time at Indiana University, He has been apart of the Indiana University football team. 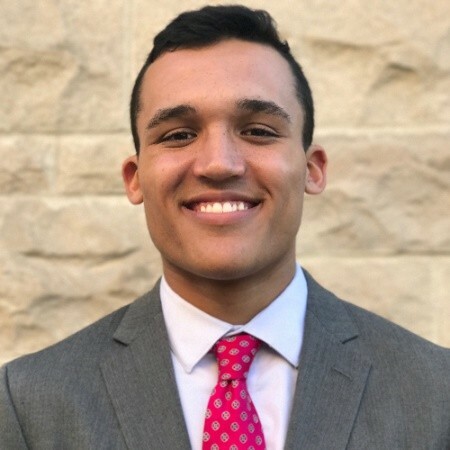 Sean is a current undergrad student at Indiana University pursuing a degree in Sport Marketing and Management and triple minoring in Business, Entrepreneurship and Small Business, and Exercise Science. Sean has held positions with the Bahamas Pure Silk LPGA Classic and Pasha Cook & Associates. Conner is currently an undergrad student at Indiana University. He is pursuing a degree in General Studies from the College of Arts and Sciences. He will be graduating in May 2018 and pursue a Masters in Sports Management and Marketing. Conner has previous experience working in Logistics Management at Crane Naval Base. Conner has also worked as a Summer Varsity Assistant Basketball Coach at Loogootee Jr./Sr. High School. Conner is now currently the Director of Skill Development for the AAU program at DistinXion.